Posted: Thu Feb 28, 2019 8:20 am Post subject: mccormick deering mill I.d. Posted: Thu Feb 28, 2019 11:21 am Post subject: Re: mccormick deering mill I.d. It"s a burr mill, as opposed to a hammer mill. Grew up grinding feed with one, have one now for display. Don"t have a clue on a model number. The cranks on the front are used to adjust the fineness of the grind...closes the space between the burrs to make it grind finer. 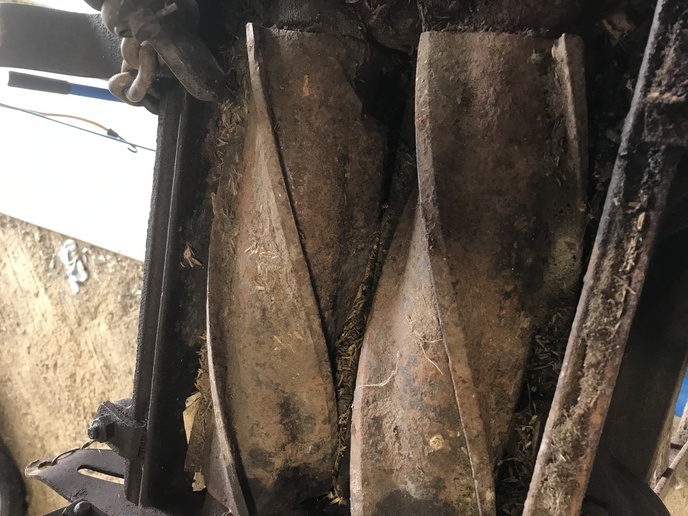 Posted: Thu Feb 28, 2019 1:43 pm Post subject: Re: mccormick deering mill I.d. Burr mill, I have about 7, different sizes, a couple Stover's, a Rumley , Letz, sold by J.D. with the Deere name, and smaller ones that I don't know what brand. Posted: Thu Feb 28, 2019 4:28 pm Post subject: Re: mccormick deering mill I.d. ask what you paid for it? Posted: Thu Feb 28, 2019 5:16 pm Post subject: Re: mccormick deering mill I.d. Posted: Thu Feb 28, 2019 6:15 pm Post subject: Re: mccormick deering mill I.d. Posted: Thu Feb 28, 2019 6:28 pm Post subject: Re: mccormick deering mill I.d. cobs before they enter the burs. Posted: Thu Feb 28, 2019 7:13 pm Post subject: Re: mccormick deering mill I.d. Posted: Fri Mar 01, 2019 10:48 am Post subject: Re: mccormick deering mill I.d. Posted: Fri Mar 01, 2019 10:50 am Post subject: Re: mccormick deering mill I.d. are there any manuals for this mill? 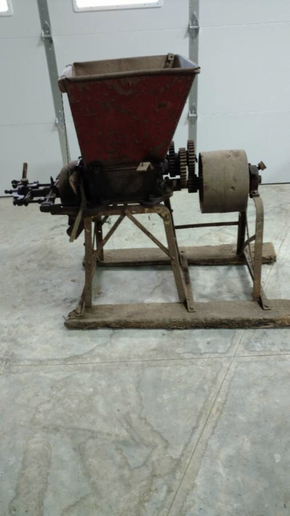 Posted: Fri Mar 01, 2019 4:35 pm Post subject: Re: mccormick deering mill I.d. Give me a call at 320-468-6474.....Kevin....you can call me in the evening also.